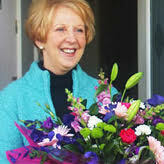 Direct2Florist specialises in connecting the flower buying public with local florists around the world. Across the US, Canada, UK, Australasia and across the rest of the globe, with Direct2Florist you'll enjoy the best flowers and greatest value for money - guaranteed. Looking for maximum value for money? Then look no further than Direct2Florist. We work to connect you with the very best local florists wherever you're sending flowers to, giving you total over your flower order. What's more, we don't take commission, unlike the other flower-power sellers who can take up to 30% of your money for doing next to nothing. That means more flowers, bigger bouquets and unbeatable value for money. Direct2Florist connects flower buyers with local florists across the globe. All highly trained and extremely talented, our florists can deliver the perfect floral gift for you, every time. Looking for same day delivery? You got it! 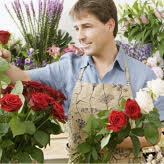 Because we connect you directly with local florists, who deliver by hand rather than relying on couriers, same day delivery is no problem at all. 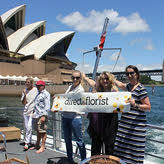 It's all part of the Direct2Florist service. Sending flowers has always been something of a gamble. Traditionally you would pay your money and hope for the best. That's changing thanks to Direct2Florist. 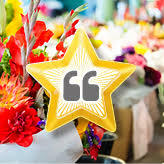 Now, you choose the local florist that delivers your order, with real reviews and star ratings from previous customers helping you to choose safe in the knowledge that a florist has generated hundreds of happy customers in the past. 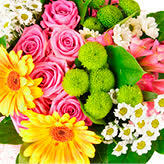 At Direct2Florist we know that happy customers are returning customers. That's why we guarantee that 100% of the money you pay for your flowers goes to the florist, ensuring e best value for money and happy customers time and time again.